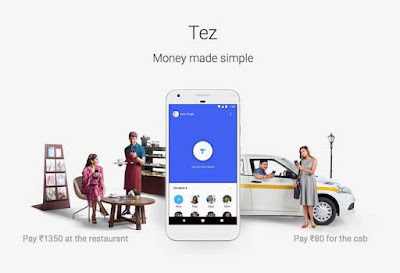 Google Tez Refer and Earn offer- Now get flat 51 Rs Cashback when you signup using a valid tez app referral link and do your first transactions. Also, you will get 51 Rs Per refer. You can Invite maximum 50 friends. How to avail Google Tez Signup offer? 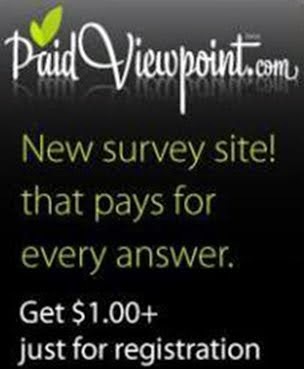 Download App Here and get extra cash! Now Install & open the Application. Click on Add Bank Account (In Homepage) and verify your details. Note without entering your bank details you won't be able to send or receive payments. You will get 51 Rupees Instant cashback. Also Note - If you don’t have any friend on Google Tez App, you can send 1 rupee to 9883716490 and get 51Rs. cashback instantly into your Bank account. Not only this if you send more than Rs.50, along with the Rs.51 cashback you will also get a scratch card from Google Tez, on opening the scratch card you can get easily 40 to 150Rs. extra for free and every time you send or recive more than 50Rs. 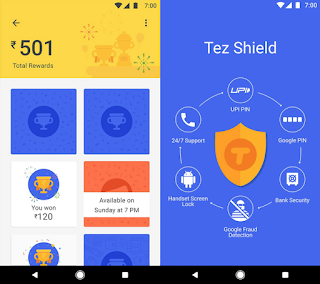 from any Google Tez user, you get a new scratch card. So the chances of earning are unlimited. So hurry and start referring your friends. First of all, Open App & Click on New. Click on Pay and Send Rs.1 and instantly you will get Rs.51 cashback. Happy Earnings from Google Tez one of the best possible methods to earn online in India!